This post deals with the details of make money by completing offers in GPT websites (Get paid to websites) with some useful links. I have written a post under the topic “How to make money online by writing tutorials?” for the people who are interested in teaching and have skills to write the useful tutorials. For that post, I got a spam comment saying that “You are always writing for skilled people, try to show some resources for inexperienced persons too”. It was so humorous, and I decided to write information for new persons through this post. Make money by completing offers in GPT websites is the easiest way to earn money online. Many get paid to complete offers (GPT) websites exists, and you could make a decent amount of cash at home. In order to pull attention to their products/services, several internet companies paying money to the people to complete the offers like register in a website, visiting sites, signing up in newsletters, giving opinion, doing shopping, playing games and so on. These companies pay GPT websites to introduce the people to their products/services. From the payment, the GPT websites share a percentage of money to the members who have completed the required task, and this is the best way to make money at home without investment. What do you need to do in GPT websites? No special skills are required to work in GPT websites. Just you need to have a computer with internet connection and spend some quality time to complete your attractive offers and earn some bucks with it. You can choose any of the listed offers and get paid after completing the mandatory task. Free trials and referral programs would also be available on GPT websites, and you can make use of it effectively. How much can you earn from GPT websites? You will not get rich with genuine GPT websites, but you can have a nice sum of money by completing some interesting offers. The more offers you complete, the more money you will earn and the amount could vary between $0.01 to $50 depends on the task and website that you’ve chosen to work. Cashcrate and treasuretrooper are the popular GPT websites to make money by completing offers. Here are the details of some more get to paid websites with which you could make money at the spare time. This website provides many opportunities for you to earn points and cash with a supportive community. Completing offers, playing games, referring new users and trail offers are some of the earning options available here. Here you can make money by filling out surveys, fun games, sign-up for free trials, referral programs, etc. Minimum payout is $10, and it can be withdrawn by instant cash out system. Easy signups, daily surveys, watching videos and referring friends are some of the choices of making money with this GPT website. Earned points can be redeemed in the form of gift cards and PayPal. Your online activities would be rewarded in several ways in this website. Some easy activities like reading emails, watching TV, reading books and listening to music can be converted into cash, and the members receive $5 sign-up bonus. Daily cash surveys and other exciting free offers are open on this website, and you could earn good referral revenues here. The minimum payment is $1, and you could get paid via PayPal, Payza, Moneybookers or Amazon gift cards. Daily and monthly contests, fill out free offers, play games, sign-up for free trials, earning by referring friends are several chances offered for you to earn money easily. Members can receive payouts from various payment options for finishing fun opportunities. You can earn money by joining free websites, review products, free trials, and sample products in this website. Payments are sent twice every month, and the minimum payout is $10. This website has been rated with highest customer support score among challenging websites. Easy offers like get paid for visiting websites, using coupons in grocery stores, online shopping and reading paid emails are the chances to make cash here. Fast customer service and $5 sign-up bonus are the good features of this GPT website. Special club offer, featured deals, and other relaxed offers are presented here for you to make some good bucks. You will get the sign-up bonus and get answers to common questions from the support center. You have excellent earning options like paid to click, daily paid offers, spin to win, clip coupons and invite friends here. Minimum payout is $50, and it is through PayPal. The Internet is an awesome tool that would help us to earn money without investment. You should spend some quality time and possess basic computer skills to finish the simple tasks in GPT websites. Also, many scam websites are present, and they would not pay a single penny for your completed offers. So it is essential to check some imperative details like payment option and reviews about the chosen websites. It would help you to stay safe from spurious GPT websites. Are you now thinking to make money by completing offers in GPT websites? What is your opinion about this money making opportunity? Let me know your views through comments. 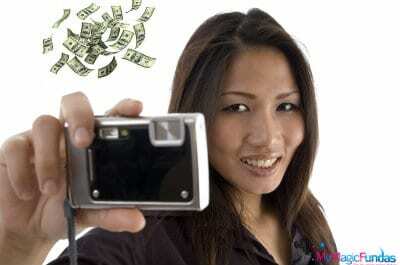 How To Make Money From Photography Online? Very useful info. I bookmarked this page. Also i ask others and my blog readers to bookmark this page. I didn’t hear about the term “GPT” Thanks for sharing this nirmala. Keep visiting here to get some useful online money making resources! We need to be careful in selecting the websites to work and make money. Nice List. It really useful for those who are searching to make money online.Some of the websites are very new to me. Thank you for sharing. Yeah, I carefully build this list with some genuine websites which have thousands of registered users. Thanks for the list Mam! But did you miss Mturk? I guess thats one of the best place to make some money doing some simple tasks. Personally I used it earlier like 2-3 years ago but one of friend is still in love with it and making somewhat $200-300 a month. Anyway, thanks for reading my post and commenting, keep continue the same! That’s a awesome post. Let me ask add a site to your post maam. http://www.clixsense.com/ it is also one of the best site to earn from home. Work : click on ads, participate in surveys and playing games. I have seen an indian transfering money to his palypal so trusted site. No worry about spam. My personal question : I have just opened google and typed “offers in gpt websites” and found your post link. You have written the post few hours back and let me ask how iis it indexed so soon…? Yeah Tarun, Clicksense is a PTC website which pays the members with the concept “Get paid to click”. But I have covered the topic “Get paid to complete offers”. Thanks for doing research about SERP. No tricks behind it. I Published the post @ noon, after that I used Ping sites to tell the search engines that I’ve got a new post. Then listed in social networks and some blogging communities. Now doing commenting on various blog. Moreover, I’ve done the basic SEO in that post. So it all helps me to hold a good search engine ranking. These are nice List of sites. Have tried one of them nirmala. Because now the days there are too much of scam sites. We need to be very careful in selecting the websites to work. Actually we discussed this topic on Indi Blogger Meet in May 2013. Wow you released this post almost after 4 months gap. This topic always hot topic no doubt about it. Your post is superb. Ya I agree it will lot of time for you to identify good and genuine websites that’s why this delay. Have a Nice weekend Nirmala. Yeah, I do remember it. Even though there are scam GPT sites existing, there are some genuine websites which really pays for our work. Such a healthy list of GTP websites some of them are new to me! Hello Mam, I never heard about GPT Websites, but its a nice idea for earning money online for beginners. Thanks for Sharing. Stay tuned here to know more money making opportunities! That was a very comprehensive list of gpt companies. I do gpt sites too and also some survey sites. They are really a great way to make some extra money. I think many people think they are a waste of time but they really aren’t. If you be consistent with it you can make quite a bit of money. This past August I received a check from Cashcrate. Thanks for sharing this with us! Great to hear that you got cheque from Cashcrate. Yes, you need to spend some quality time without efforts to make money with GPT websites. These are interesting lists. I’ve tried a few of those though! Thanks for your comment, keep coming here! To filter out from crowd, want to ask you. Have you tried any of these sites which is still your bigger part of income source. Yeah, I tried few GPT websites and made little money. As I specified in the beginning of the post, those who are not skilled in any of the fields could try this option of making money online. Also, this should not be the main income source, you can do it just when you get free time. Hi Nirmala thnxx for sharing these GPT websites. This will earn some cash for me. Thank you Nirmala, but can you kindly elaborate how much time and effort would be required to actually generate some income from these GPT websites? My experience is little in working with GPT sites. Time and effort varies from person to person. More the time you spend, the more will be your earnings. I guess, no need to put much efforts in making money with GPT websites. Thanks for reading my post Suresh, Glad you’re gonna try to make cash with GPT websites. Useful post…I am a regular member of points2shop and don’t know much about other site…I hope they are legit too…Will give a try thanks. I started working on gpt sites 3 months back. For the 1st time i earned Rs.10000 in may. Also few tricks help to increase earnings. We should focus on genuine and paying gpt. I also have a site to introduce. Introducing my New Rewarding platform which i newly launched . http://www.ThinkOpinion.com – With top converting and Higher rates than giant Survey platforms. we aim to pay high and offer my referral commissions as well. Take a look and hope visitors can register. Our another website which is nearly 5 Years old one is here:- GPTBee.com . Thank you for reading.